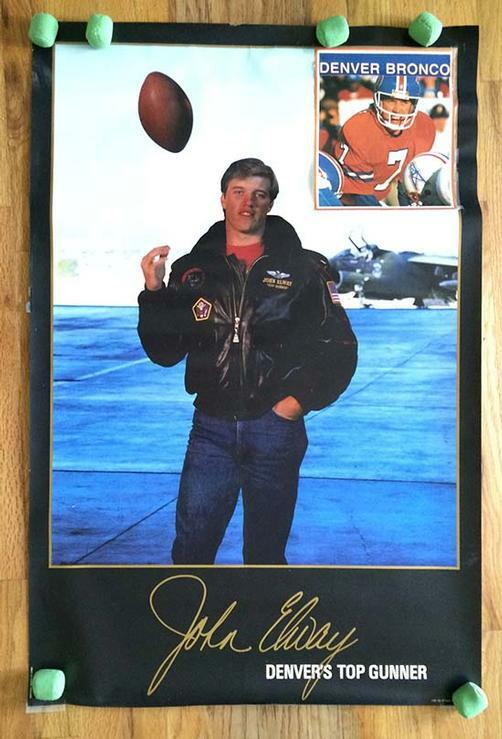 Original promo poster for John Elway from 1987. 23 x 24 inches. Insert taped onto upper right corner. Handling marks, edge damage, tape at edges.